Activating this feature will auto add a coupon code to your cart/checkout pages! This feature should function on all Shopify and Bigcommerce stores, however some platforms have different coupon code values than those we included. If this feature does not function as needed please contact your developer to find the correct coupon code field value to add into our system! To turn on this feature, follow the steps below! 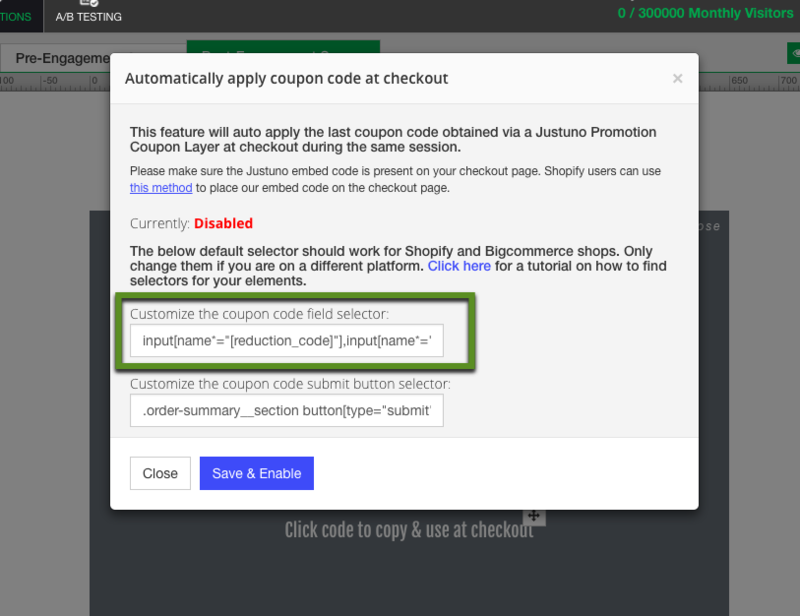 SHOPIFY CUSTOMERS: Please note that if you have not already added Justuno to the checkout pages this will not work on it, please use this article to add Justuno to the checkout page! BIGCOMMERCE OPTIMIZED CHECKOUT USERS: The app install (for Stencil theme sites) will now auto inject the code to help embed the checkout page. 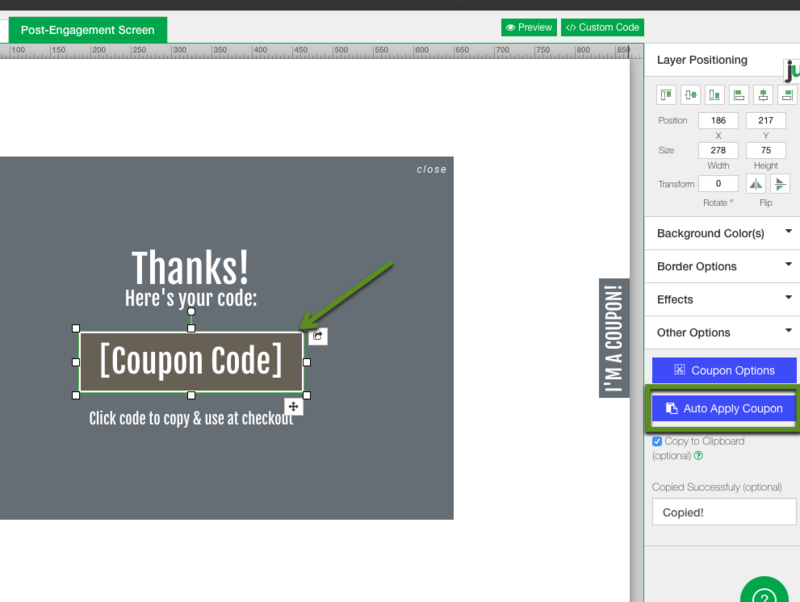 Step 2: In the design canvas head to post engagement tab and find the coupon code layer. If you only have a text layer and not a [coupon code] html layer, follow this article to add the correct layer in! Step 5: If you are a different platform you can enter in the correct values and then hit save and enable!